There is a key democracy argument in this new book which calls for an urgent step change in our liberal democracies and a new type of political leadership. 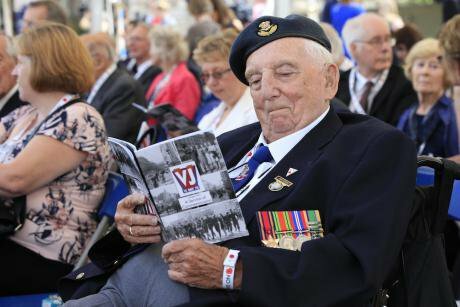 RAF veteran John Watkins, 89, from Boston, Lincolnshire, marking the 70th anniversary of VJ Day. Jonathan Brady/Press Association. All rights reserved. Two broad academic interpretations have emerged to explain these developments. The first stresses economic change and its effects on ‘the losers of modernisation’/the ‘left behinds’. The second, and more common, approach holds that the key driver has been cultural. The rise of parties like the National Front began well before the onset of recession, and some of the strongest can be found in rich countries like Austria. For the culturalist approach, support is fired by opposition to immigration and by linked themes like law and order. This polarised debate glosses over an important further factor – namely, attitudes towards mainstream parties and liberal democracy generally. There are clear examples where recent voting has been influenced by such changes. 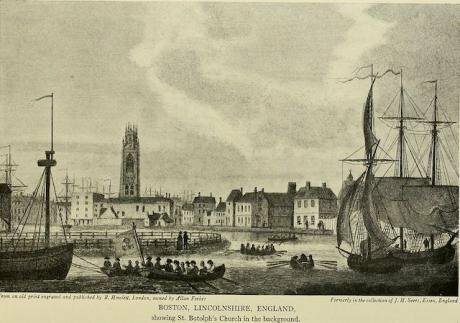 Take Boston in Lincolnshire, which saw a tenfold increase in the number of non-British EU citizens between 2001 and 2011, often arrivals from new member states in eastern Europe to work in the food-picking and packaging industries. In the 2014 European Parliament elections UKIP gained over 50% of the vote here, its best local result. If we look at opinion polls, we see that the percentage of British people who believed that immigration was a major issue rose from 7% at the turn of the new millennium to 48% in 2016, making it top of the list of voters’ concerns at the time of Brexit. The precise relationship between voting and immigration, however, is complex. Opinion poll evidence also needs to be interpreted in the light of the behavioural economics concept of a ‘heuristic’, which refers to the way in which people often solve complex problems with simple answers. Telling pollsters that ‘immigration’ is the major issue can hide a variety of concerns, as a recent Guardian article by Aditya Chakrabortty reveals. When he visited Llanhilleth before the 2016 referendum, he found that the ‘rote’ reason for supporting Brexit was ‘immigrants’, in spite of the fact that in this South Wales former mining village ‘the only foreigners were inside the Daily Mail’. However, anger wasn’t directed at immigrants or Eurocrats so much as at British governments, which neither cared about nor listened to people like them. In this South Wales former mining village ‘the only foreigners were inside the Daily Mail’. 3) the extent to which they should be expected to assimilate into the dominant culture, which many people still strongly identify with (though their conceptions of Britishness often differ). Their conceptions of Britishness often differ. A common response to the rise of parties like UKIP is to brand them as ‘racist’, even ‘fascist’. These charges do not just come from self-styled ‘anti-racists’/’anti-fascists’. Symptomatically, in 2006 David Cameron dismissed the rising ranks of UKIP as full of ‘fruitcakes, loonies and closet racists’. Some national populist supporters undoubtedly wear the racist badge with pride, but most see themselves as raising legitimate issues and resent the extremist charge. As a result, they often react by becoming further alienated from what they see as overweening liberal elites and their Politically Correct agendas. Most national populists see themselves as raising legitimate issues and resent the extremist charge. These last observations point to two ways in which we should move on. Looked at from the top-down, we need politicians to be braver, to lead and talk more openly about immigration policy. We need them to explain the labour needs of the British economy. There is widespread support for immigrants such as doctors and nurses, but many oppose unskilled immigration. However, whilst automation will reduce the demand in towns like Boston, the need for unskilled workers in places such as in care homes is likely to grow given the ageing population. There also needs to be a greater attempt to dispel wider fears of the type challenged by the Migration Advisory Committee report in September 2018, when it found no evidence that European migration ‘has reduced the average level of subjective well-being’ in communities. We need politicians to be braver. 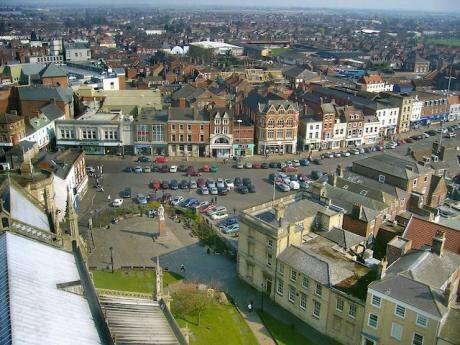 Boston, Lincolnshire, panoramic view, 2007. Wikicommons/ Tanya Dedyukhina. Some rights reserved.From the bottom-up, we need groups and individuals to talk more about immigration and how best to live together. Precisely what kind of immigration rules should we apply? Do we need to set out a new and more inclusive conception of national identity? If the latter is important, it will need to combine old aspects of British identity with the new realities of migration and multicultural communities. It will need to built on a sophisticated understanding of psychological theories concerning attitude change. ‘Confirmation bias’ theory shows us that people tend to reject attacks on deeply held views. One way forward, therefore, might be to play on conceptions on fairness, which hark back to the old British trope of fair play. In 2018, YouGov found that the vast majority of British people thought that the early ‘Windrush generation’ of black immigrants had the right to remain here even if they had not regularised their residency, rejecting the unfairness of the Home Office policy of seeing them as illegal immigrants. From the bottom-up, we need groups and individuals to talk more about... how best to live together. The results of such conversations will not be rapid, as the top-down approach faces the problem that many people distrust politicians and experts. But the rise of national populism helps show what happens when we have democratic ‘leaders’ who do not seek to educate and point to the way forward on key issues. The bottom-up approach faces the problem that it can be hard to spot common ground in an often polarised debate, which pitches those who defend universal equality and human rights against those who defend the pre-eminence of the national interest and ‘natives’. But just remember that 85% of British people are ‘balancers’, and the evidence is that they are open to conversations and democratic compromise about the best way forward. They are seeking a new form of democracy where ordinary people’s views count for more. Contrary to the claims of many, the vast majority of national populist supporters are not authoritarians seeking to overthrow democracy, though socially conservative ideas are common among them. Rather, they are seeking a new form of democracy where ordinary people’s views count for more. The fact that many national populist voters have relatively low levels of education, and are not greatly interested in politics, does not mean that their views should be ignored or seen as necessarily a threat to democracy. Rather, national populism is Janus-faced. It poses dangers in its delegitimisation of mainstream politics and through its xenophobic side. But it also highlights the need for democratic renewal. The fact that we need widespread institutional change to achieve this, like proportional representation and greater local democracy, does not negate the urgent need to begin a serious conversation about immigration as part of this renewal.